These are good days to be invested in the purpose-built rental apartment industry. Vacancy rates are low, average rents are rising, and new apartments are riding the perfect storm of limited supply and increasing demand. Cap rates have compressed to record lows, and apartments have been selling for some of the highest prices in Canadian history. With that in mind, some apartment investors may feel the incentive to rest on their laurels, happily assuming that their property portfolio is set and performing as well as they can hope for. That would be a mistake. It’s important to always pay attention to your investments, and it is wise to keep an eye on current economic conditions and prudently take steps to protect their investments in case conditions change. What could cause current conditions to change? One thing is interest rates. Canada’s record apartment prices are largely being fed by record low cap rates, and the major driver of these cap rates is low interest rates. Low interest rates are one part of the fuel of the apartment market rocketship. The rocket can only stay on its trajectory if low interest rates continue. While there are no indications that the Bank of Canada intends to raise interest rates anytime soon, it is hard to conceive that interest rates could go any lower. Another factor to consider is the average age of Canada’s rental apartment stock. These buildings aren’t getting any younger, and the increasing need to make capital improvements may nudge cap rates higher. In any event, for small and medium-sized portfolio owners, it’s always prudent to review your investments, ensure that they are performing as well as they should, and take steps to protect oneself against potential changes in the marketplace. One way to do this would be to look at one’s portfolio and sell the outlier. The outlier is the one underperforming building on your portfolio. Maybe it’s older than most of your rental stock, and most in need of renovation. Maybe it’s in a poorer location. Whatever the case, given today’s seller’s market, selling such a building could release funds that could be applied to capital improvements on your remaining properties, increasing their value, reducing operating expenses, and improving the bottom line. Selling a building can be intimidating; there is a lot of preparation that goes into putting a building onto the market, and owners worry over the taxes that come due on a sale. However, there are many steps you can take to ensure your buildings are sold for top dollar, and there are ways to minimize the taxes that are charged after a sale. Consulting with a qualified and experienced apartment broker can offer you advice on how to ensure a sale goes through smoothly, and you get the most from your investment. We’re not asking you to be worried about the future; we are in good times in this industry, and the fundamentals of the marketplace is strong. However, to ensure one’s long-term future, to carry oneself from the current boom to the next, as well as the leaner years in between, one should always invest an ounce of prudence to protect themselves from the marketplace in case things change. This goes hand-in-hand with finding the best new opportunities for investment. For more information on how you can properly assess your portfolio, prepare outliers for sale, and properly invest the proceeds, contact us. Rock Advisors Inc., has a quarter century of experience in apartment brokerage. We can ensure that your investments sell for the best price, and we can advise you on the best ways to deal with the taxes that come due on a sale, and the best investments you can make on the rest of your portfolio. 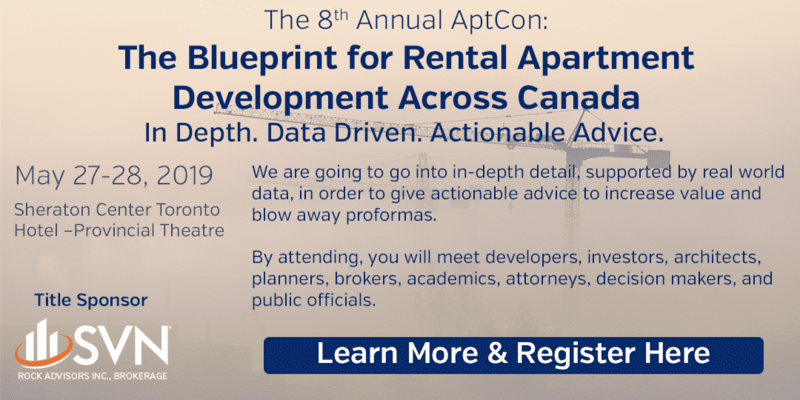 Prev:Technology in the Apartment Industry. Do You Have What It Takes?